Last weekend produced some record-setting March high temperatures. So far this month over 60 new daily warm maximum temperature records have been reported across Minnesota, and over 60 new warm daily minimum temperature records have been reported as well. Communities around the state are reporting average March temperatures so far that run from 11 to 15 degrees F above normal. This has provoked very early ice-out dates for many of Minnesota’s lakes, including Lake Minnetonka (Hennepin and Carver Counties), which saw loss of ice on March 17th, the earliest date since March 11, 1878. Other lakes that recorded earliest ice-out dates in history included: White Bear (Washington County) on March 16th; Cedar Lake (Scott County) on March 13th; and French Lake (Rice County) on March 15th. Wolf Ridge Environmental Learning Center 2.15"
In addition, on Wednesday, March 17, heavy snow across northeastern portions of the state caused school closures and difficult travel conditions. Many observers reported from 2 to 5 inches of snow. Some of the heaviest amounts, most of which were new daily records, included: 12.0" at Isabella; 11.0" at Grand Portage; 10.5" near Two Harbors; 9.5" at Gunflint Lake; 8.9" at Tofte; 8.6" at Ely; 7.4" at Winton; 7.2' at International Falls; 6.7" at Silver Bay; 6.0" at Cook, Cotton, Embarrass, and Chisholm; 5.8" Tower; 5.5" at Orr, and 4.2" at Grand Rapids. The abundant moisture this week provoked the National Weather Service to issue flood watches and advisories for portions of Crow Wing, Aitkin, Carlton, and St Louis Counties this week. The NOAA Climate Prediction Center released new seasonal climate outlooks on March 17th this week. The outlook for April through June calls for above normal temperatures to prevail across the Great Lakes Region, including Minnesota. The outlook for precipitation calls for drier than normal conditions to prevail across northeastern sections of the state. The outlook through June also shows no signs of returning drought to Minnesota. Torrential rainfalls last week brought from 17 to 26 inches of rain to portions of Louisiana, causing widespread flooding there. But Mother Nature has brought little respite this week as many areas of received another 7 to 12 inches of rain. For some observers in that state March total rainfall will approach or exceed 30 inches. 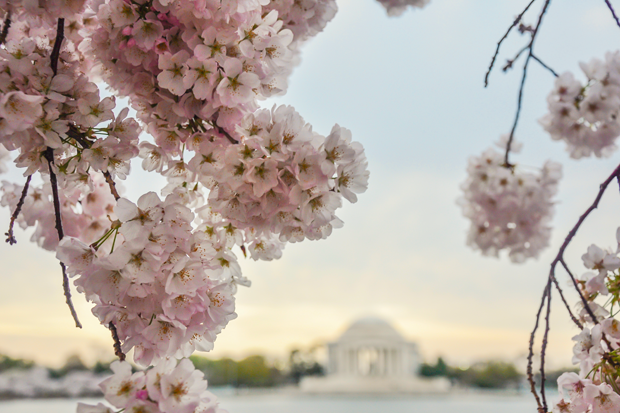 NOAA reported this week that the Annual Cherry Blossom Festival in Washington, D.C. scheduled to begin on March 20th may occur after the peak blossom date (estimated to be March 18th) because of the very mild winter and early spring. This would be the earliest blooming of the cherry trees there since the spring of 1990. About a million visitors come to the Washington, D.C. area each year for this festival. NOAA scientists reported this week that 2015 brought the largest measured annual increase in atmospheric carbon dioxide, a rise of 3.05 parts per million. The global average now rests at slightly under 403 ppm. Prior to 1880 the global atmospheric carbon dioxide content was 280 ppm. NOAA also reported this week on some work done at Rutgers University and reported in the Proceedings of the National Academy of Sciences. This study shows that sea level rise during the 20th Century was faster than the past 27 centuries. The report also states that over 50 percent of the 8,000 episodes of coastal flooding since 1950 would not have occurred in the absence of global climate change. Tropical Cyclone Emeraude was spinning in the Southern Indian Ocean this week producing winds over 100mph and sea wave heights approaching 30 feet. It was not a threat to any island nations and was expected to weaken by the middle of next week. In your book and a few years ago on MPR I heard you tell Cathy Wurzer that March of 2012 was the most anomalous warm month in history from a temperature standpoint, being over 15 degrees F above normal here in the Twin Cities. How many daily temperature records were set that month? During March of 2012 the Twin Cities set or tied 8 daily high temperature records, topped by 80°F on St. Patrick's Day (17th). In addition 10 new record high minimum temperature records were set along with 8 new record daily high dew point temperature readings. On a statewide basis 843 new daily maximum temperature records were tied or broken, and 658 record high minimum daily temperature records were tied or broken. The average MSP high temperature for this date is 42 degrees F (plus or minus 11 degrees F standard deviation), while the average low is 25 degrees F (plus or minus 11 degrees F standard deviation). MSP weather records for this date include: highest daily maximum temperature of 79 degrees F in 2012; lowest daily maximum temperature of 3 degrees F in 1923: lowest daily minimum temperature is -8 degrees F in 1923; highest daily minimum temperature of 61 degrees F in 2012; record precipitation of 1.07 inches 1968; and record snowfall of 9.6 inches in 1951. Average dew point for March 18th is 23 degrees F, with a maximum of 59 degrees F in 2012 and a minimum of -14 degrees F in 1923. The state record high temperature for this date is 84 degrees F at Canby (Yellow Medicine County) in 1921. The state record low temperature for this date is -48 degrees F at Sawbill Camp (Cook County) in 1939. State record precipitation for this date is 3.12 inches at Hokah (Houston County) in 2005; and record snowfall is 20.0 inches at Albert Lea (Freeborn County) in 1933. A late winter storm brought a mixture of rain and snow to the state over March 18-19, 1903. Thunderstorms occurred in western Minnesota. Many observers reported over 2 inches of precipitation and Collegeville reported 3.12 inches. March 18, 1921 was the warmest in state history. For many eastern Minnesota cities afternoon temperatures rose into the 50s and 60s F, while in the west and the south observers reported highs in the 70s and 80s F. There was no snow cover on the Minnesota landscape except for far northeastern counties. On this date (March 18) in 1925, some residents of Missouri, Illinois, and Indiana probably thought the world was coming to an end. The famous Tri-State tornado was crossing those states, along a 219 mile path over a period of 3.5 hours, from 1:00 to 4:30 pm. This F-5 storm (winds near 300 mph) damaged or destroyed 19 communities and killed 695 people. The vortex varied from 1/2 mile to 1 mile in diameter. It caused the greatest loss of life of any historically documented tornado in the USA. March 18, 1939 was the coldest in state history with 12 communities reporting a morning low temperature of -30°F or colder. Snow depths in northern Minnesota were over 2 feet. A winter storm brought heavy snowfall to the state over March 18-19, 1951. Over 30 communities reported at least 10 inches of snow and many roads and schools were closed on Monday the 19th. This was one of several snow storms during the month producing one of the snowiest months in state history. Over 30 climate stations reported monthly snowfall totals of 40 inches or greater. A strong winter storm brought heavy snow to southern Minnesota counties during the Boys State Basketball Tournament of 2005. Over March 17-18 wind driven snow piled up in huge drifts and closed Interstate 90 between Blue Earth and Luverne. Portions of Faribault County reported over 20 inches of snow. Somewhat cooler than normal temperatures under partly cloudy skies through the weekend. Warming trend next Tuesday and then moderating temperatures (below and above normal) much of next week with chances for mixed rain and snow and mostly cloudy skies. now there saying colder than normal for a while.